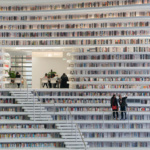 Why is MVRDV’s Binhai library full of fake bookshelves? 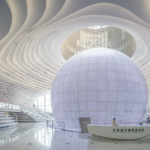 - Archpaper.com Why is MVRDV’s Binhai library full of fake bookshelves? 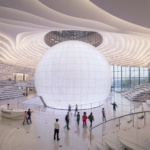 Why is MVRDV’s Binhai library full of fake bookshelves? 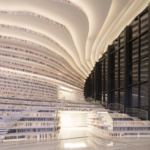 After recently completing its eye-shaped library in Tianjin Binhai, China, Dutch design firm MVRDV is facing questions over the functionality of the shelves in its main atrium. 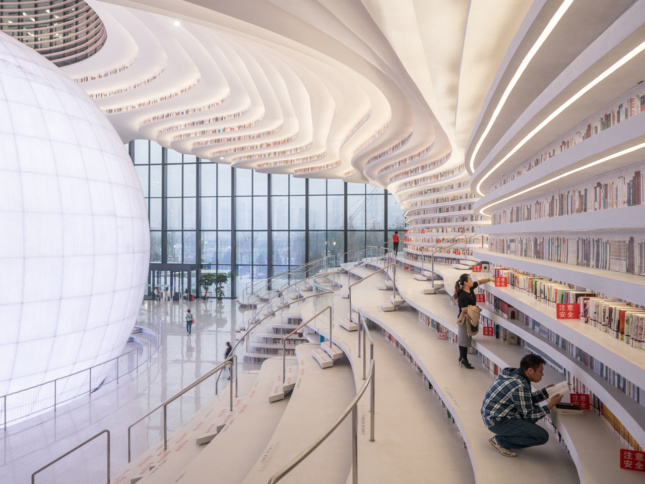 After the building went viral for its visually stunning floor-to-ceiling shelving, patrons have reported that the books on display are either fake or printed onto the shelving itself. 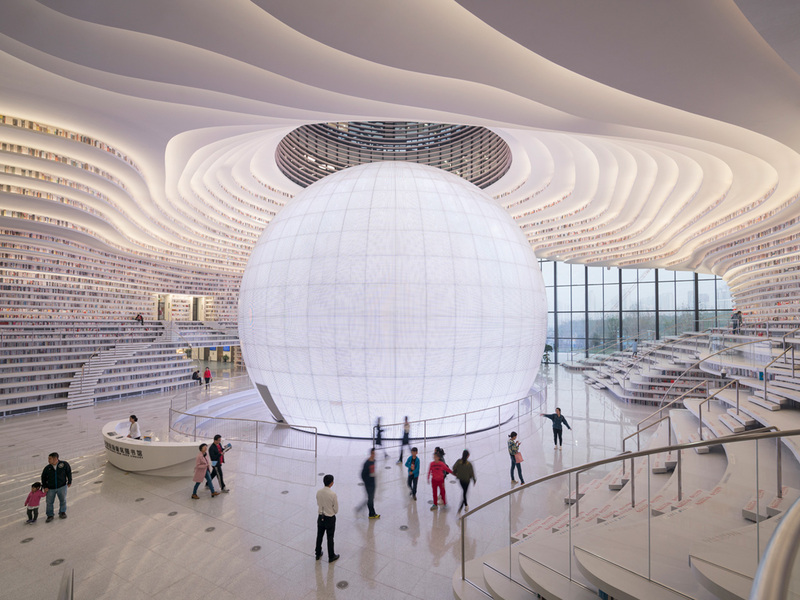 Commissioned by the Tianjin Urban Planning and Design Institute as part of a master plan to create a new cultural district for the city, the Tianjin Binhai Library went from design to completion in only three years. 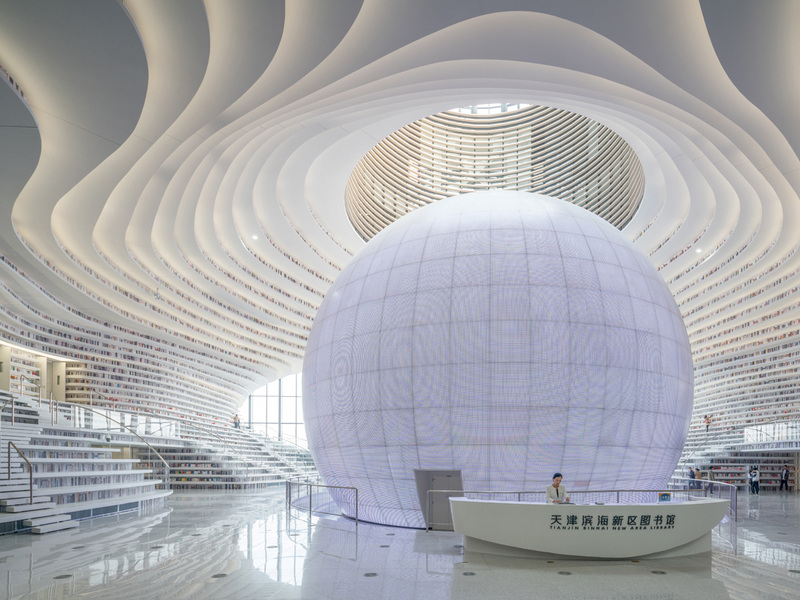 Layers of white, terraced bookshelves in the atrium wrap around a glowing orb that anchors the library and doubles as a centrally-located auditorium. 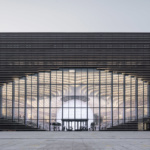 Slotting the building into an existing 393,000-square-foot master plan by German architects GMP, MVRDV rolled the required auditorium into a multi-use cavity that leads to reading rooms, lounge areas, offices, meeting rooms and computer labs. The building itself is only 6 stories tall, so every programmatic element is accessible directly from the atrium. 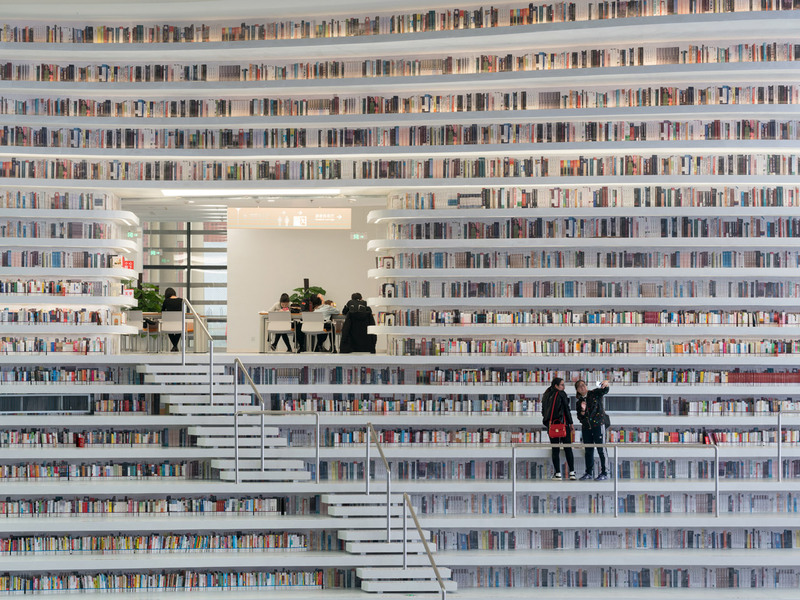 MVRDV acknowledged that their original plans for accessing the top bookshelves through upper-level rooms had to be scrapped because of the tight construction schedule, with “perforated aluminum plates printed to represent books” filling the inaccessible spaces. However, as Yahoo reported yesterday, visitors have been met with empty shelves and dangerously uneven stairs. 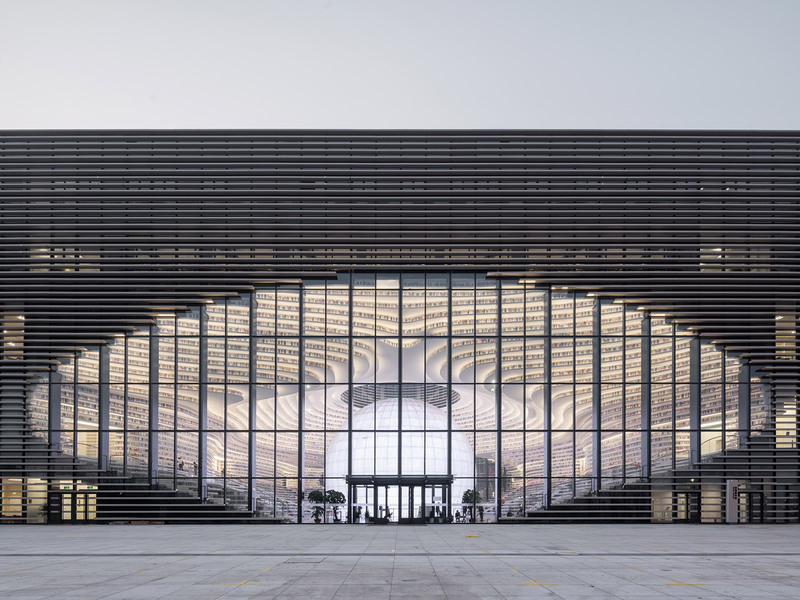 The decision was made by local authorities and against MVRDV’s wishes, according to spokeswoman Zhou Shuting. Originally promising to house 1.2 million books, the library has stalled out at 200,000, although it hopes to eventually reach that goal. Still, the project’s online popularity has bolstered the number of visitors that the library receives to 15,000 every weekend. 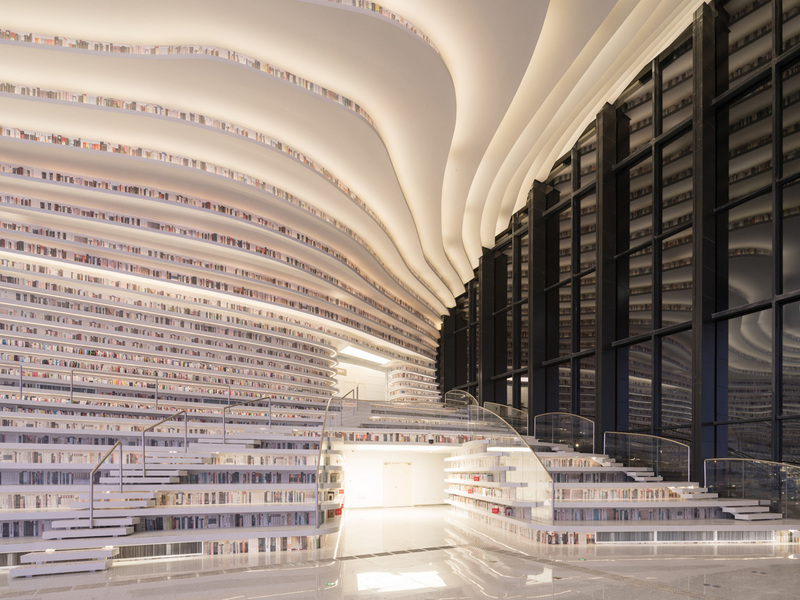 The lack of books isn’t the Tianjin Binhai Library’s only problem, and less attentive tourists have fallen victim to the irregularly shaped stairs. “People trip a lot. Last week an old lady slipped and hit her head hard. There was blood,” a guard told Yahoo.